Photosynthesis, in a nutshell, is the process of using water, carbon dioxide and sunlight to produce sugar. Plants and other photosynthetic organisms are called producers because they can make carbohydrates for energy without consuming other organisms. The process of photosynthesis requires specialized cellular structures called chloroplasts to capture energy from the sun and convert it into chemical energy. 1. The green color of leaves is due to chlorophyll. These green-pigmented molecules live in the chloroplasts of plant cells and absorb visible light for photosynthesis. Chlorophyll molecules absorbs all wavelengths of light except green but mainly absorb red and blue wavelengths. Plants appear green because chlorophyll reflects green wavelengths of light. 2. The two main parts of a chloroplast are the grana and stroma. Grana are stacks of disc-shaped compartments that are enclosed within a membrane. These discs are called thykaloids and are the site where light-dependent reactions occur. The fluid surrounding the grana is the stroma. The light-independent reactions take place in the stroma. 3. The first stage of photosynthesis captures energy from the sun to break down water molecules. The light-dependent reactions harness and transfer energy by splitting apart hydrogen and oxygen atoms. The electrons move through the electron transport chain where they are passed along a series of proteins to eventually make ATP, the energy used in the next stage of photosynthesis. 4. The second stage of photosynthesis is the Calvin cycle. Light-independent reactions use the energy generated during the light-dependent reactions to make carbohydrates in a process called the Calvin cycle. One carbon molecule is added at a time. Energy keeps the cycle going to repeat the process and create sugar molecules containing six carbons. 5. It takes six molecules of water and six molecules of carbon dioxide to make one molecule of glucose during photosynthesis. In addition to one glucose molecule, C6H12O6, the reaction of 6H2O + 6CO2 also yields six oxygen molecules, or 6O2. Oxygen is a waste product of photosynthesis. 6. 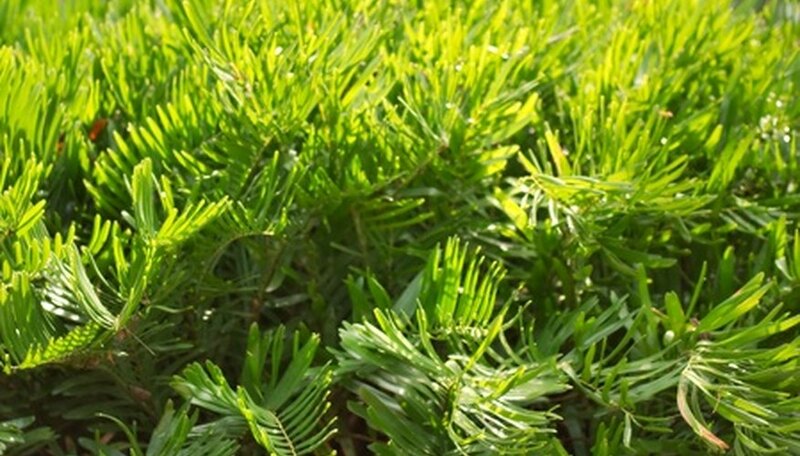 Plants have specialized tissues that aid photosynthesis. Water is taken up by the roots and transported to the leaves by specialized tissue called xylem. 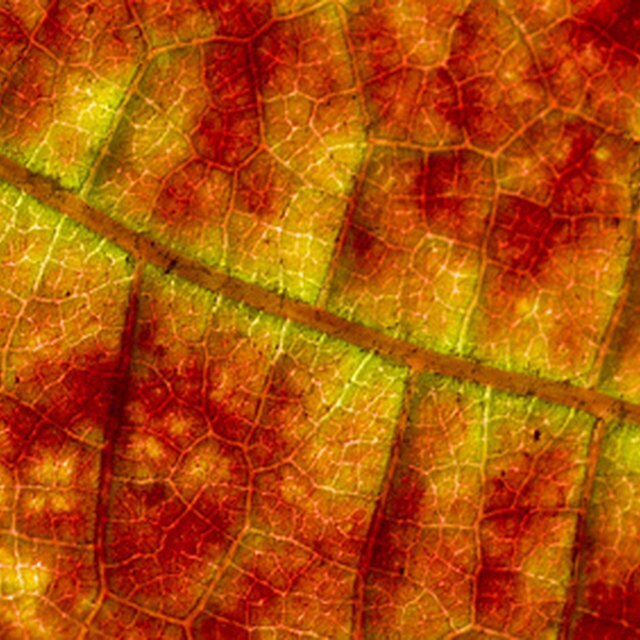 Because leaves have a protected coating to prevent drying out, carbon dioxide must enter through pores called stomata. Oxygen exits the plant via stomata. 7. Glucose molecules join to form more complex molecules used by plants. Glucose molecules formed during photosynthesis are simple sugars that are building blocks of starches and cellulose. Plants use starches as stored energy and the tissues that make up a plant’s structure are made from cellulose. 8. Leaves change color in autumn because plants slow down the process of photosynthesis. Plants contain other pigments other than chlorophyll. When plants prepare for winter in cool or temperate climates, they make less chlorophyll. Because there is less chlorophyll to reflect green light, the colors of other pigments become visible, and the leaves appear brown, orange, red or yellow instead of green. 9. Plants are not the only organisms that use photosynthesis. Some bacteria, such as cyanobacteria, and protists, such as algae, are also producers. These single-celled organisms contain chlorophyll and are typically found in aquatic environments. 10. The reverse process of photosynthesis is cellular respiration. Cellular respiration is the process of using the chemical energy stored in sugars. The reaction is the mirror image of photosynthesis: glucose + oxygen yields carbon dioxide + water. Like all living things, plants go through cellular respiration to obtain energy for growth and reproduction. Mentzer, A.P.. "10 Facts on Photosynthesis." Sciencing, https://sciencing.com/10-photosynthesis-7257331.html. 12 April 2019.